I’ve been hungry for cabbage rolls lately and decided to prepare them in my new Fagor 8 quart pressure cooker, following a class my friend Heather and I recently took to learn how to use them! 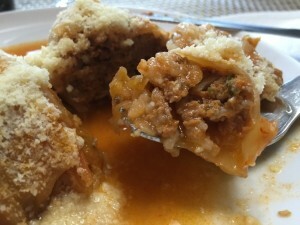 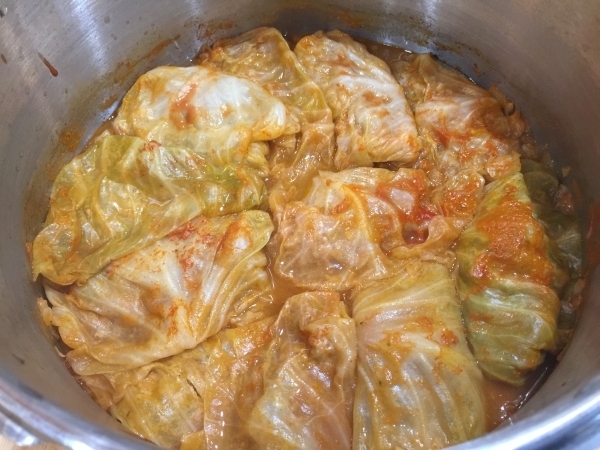 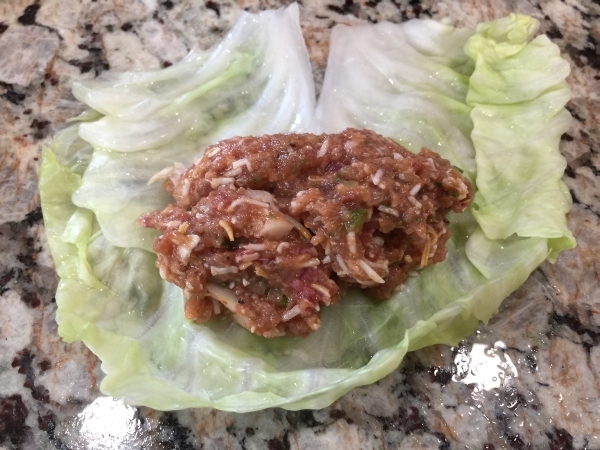 I came up with my recipe after reviewing one that was included with my cooker and some other stuffed cabbage varieties on line. 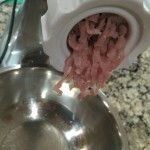 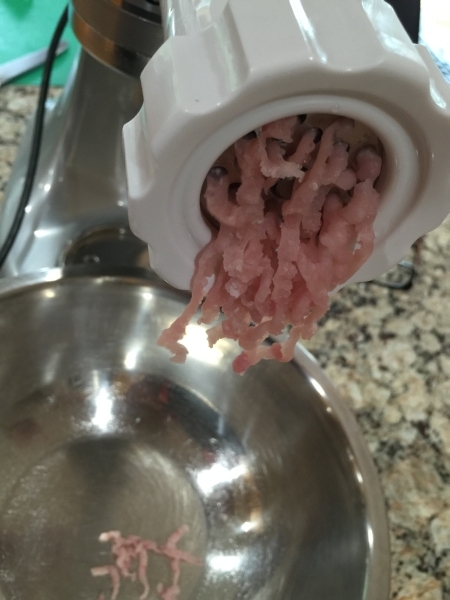 Using a couple kinds of meat also gave me the chance to play with my Kitchen Aid Food Grinder! 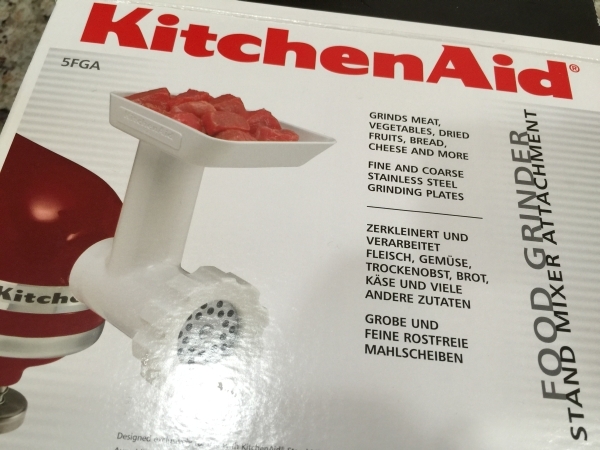 I received the grinder attachment some time ago as a gift. 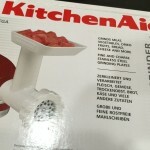 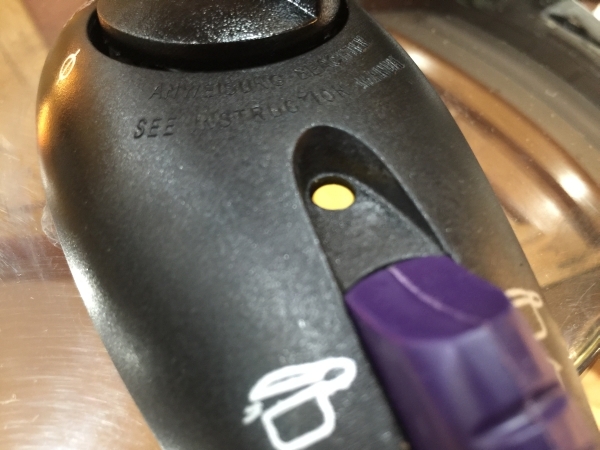 It connects to my Kitchen Aid stand mixer and is ideal for grinding meats, grating cheese, and all kind of other preparations. 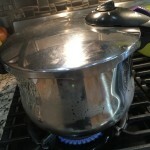 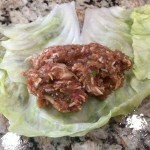 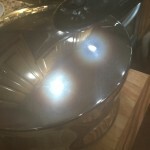 This recipe is really easy and quite a time savor using the pressure cooker. 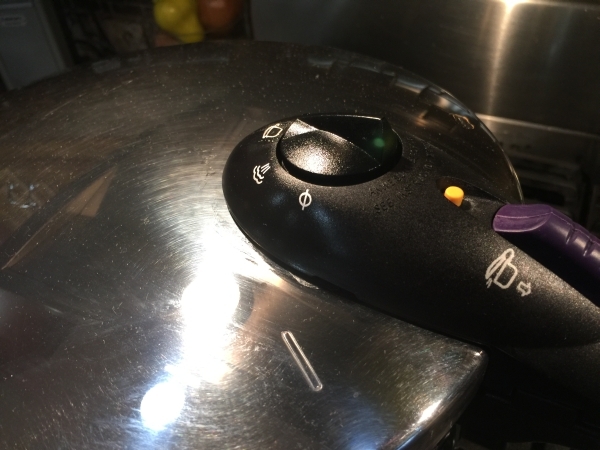 In the future, I would probably add more rice and also jalapenos for some heat. 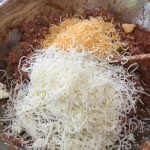 When we reheated them later, we added some canned pasta sauce and additional cheese on top. They were great! 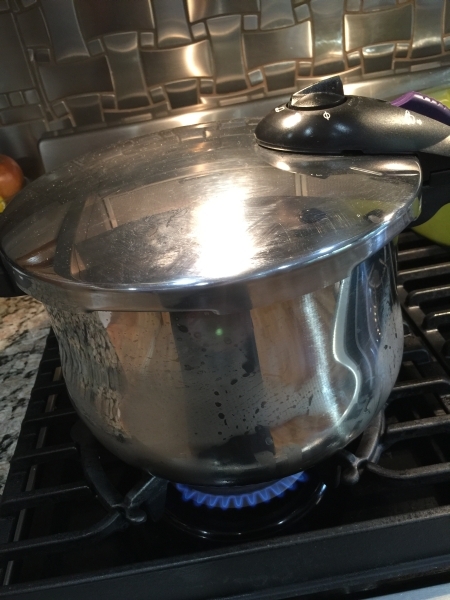 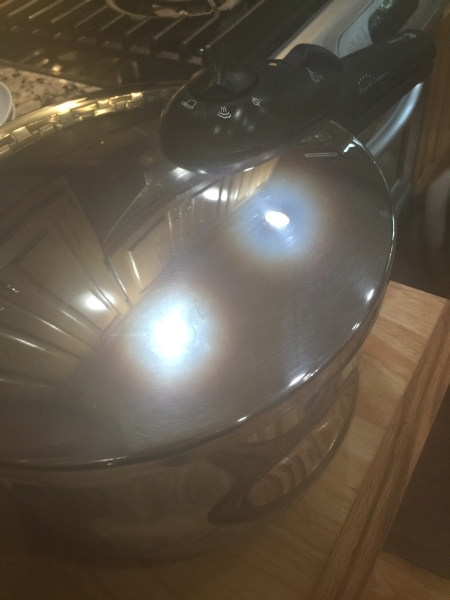 Fill the cooker halfway with water and bring to a boil. 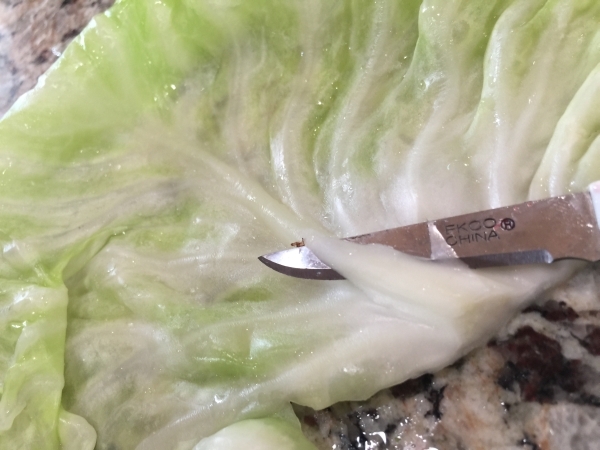 Cut the core out of the cabbage. 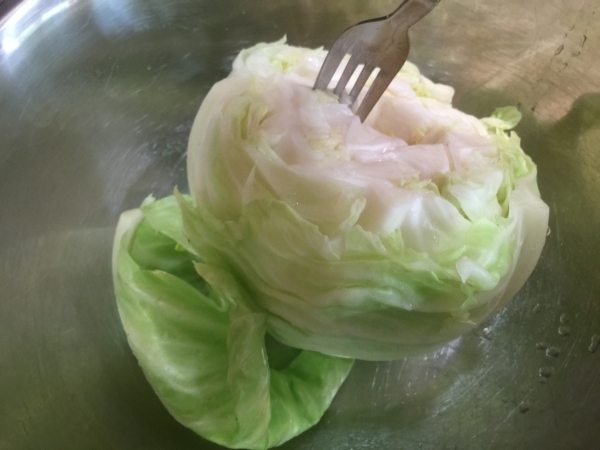 Using a large fork, dip the cabbage head upside down into the boiling water and hold it until the outer leaves become soft and pliable enough to pull off of the head. 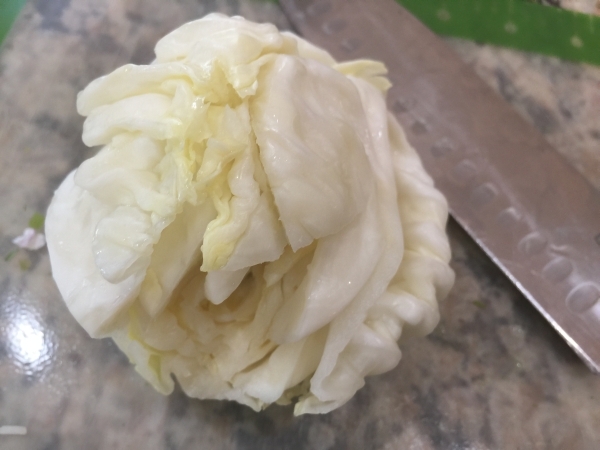 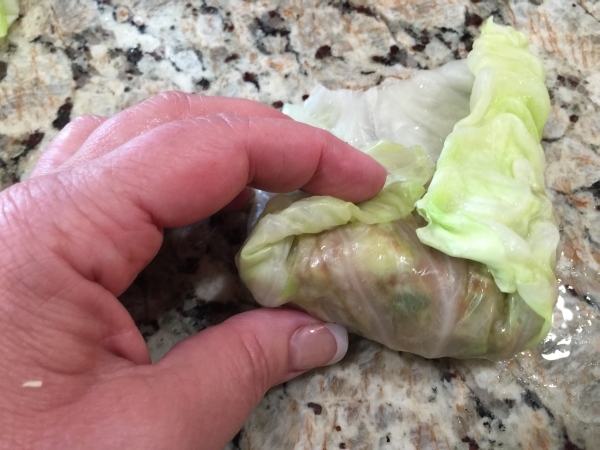 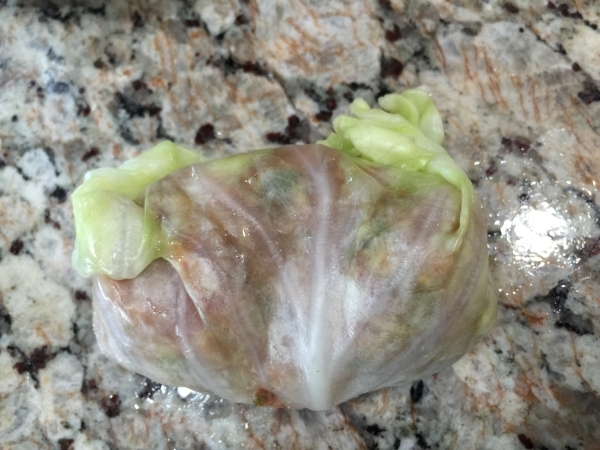 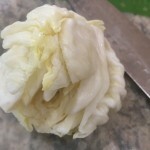 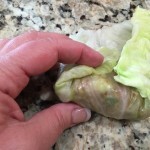 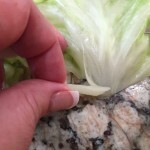 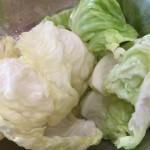 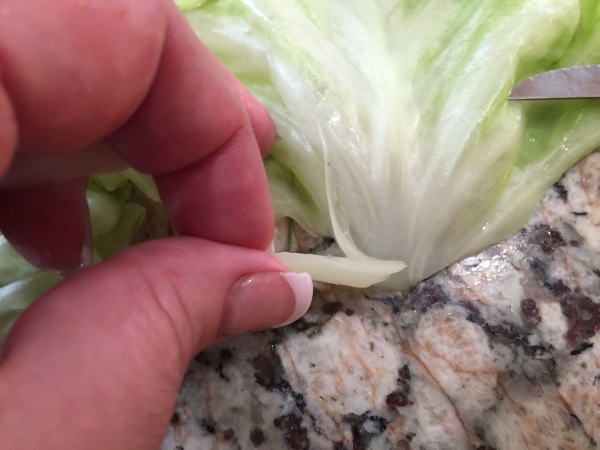 Continue this dipping and pulling leaves method until you reach the center core of the cabbage that is too small to use for rolls. 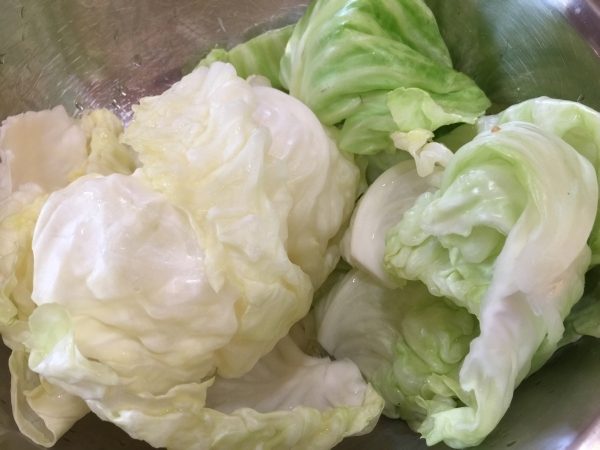 Drain cabbage leaves on paper towels. 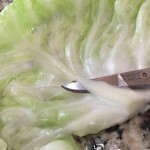 Use a paring knife to remove the thick base on the leaves and discard. 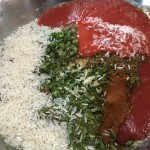 Dry out the cooker and add the tomato sauce, water, and chopped core of the cabbage. 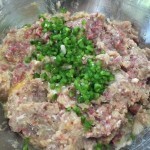 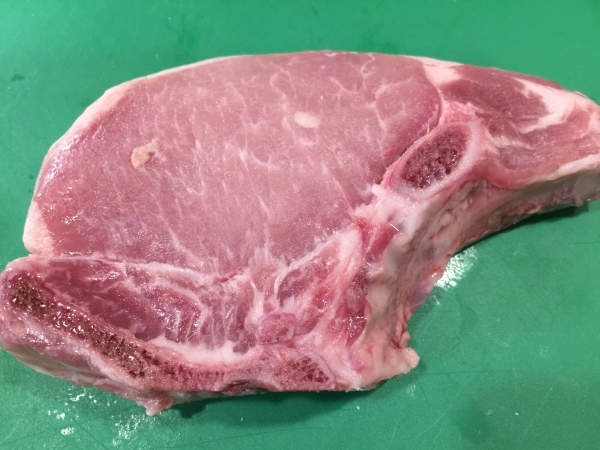 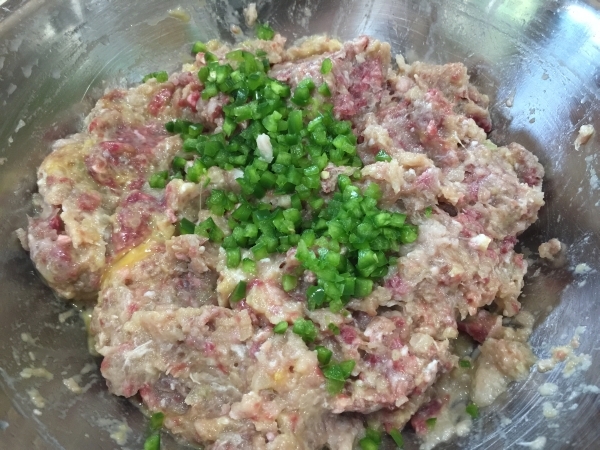 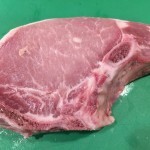 Remove the bone and grind the pork through the attachment along with the onions. 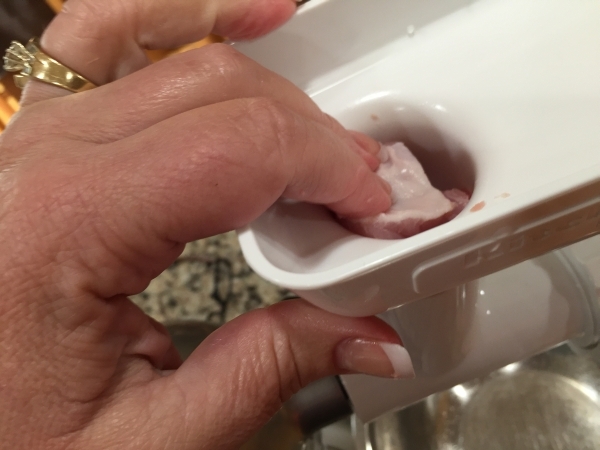 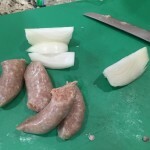 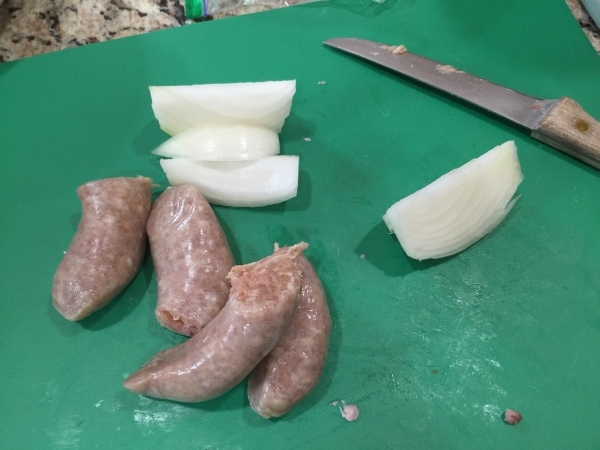 Remove the casings from the chicken sausage and discard. 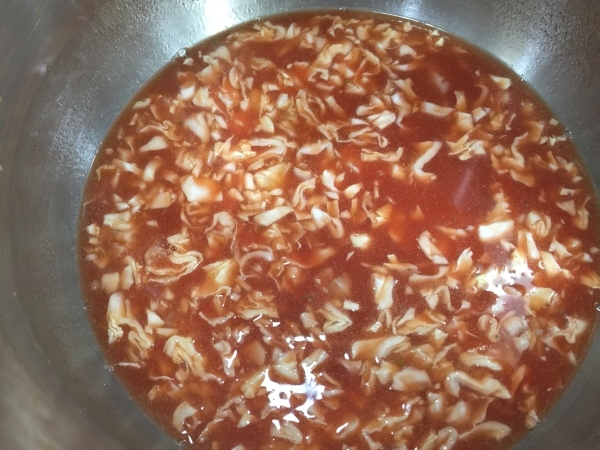 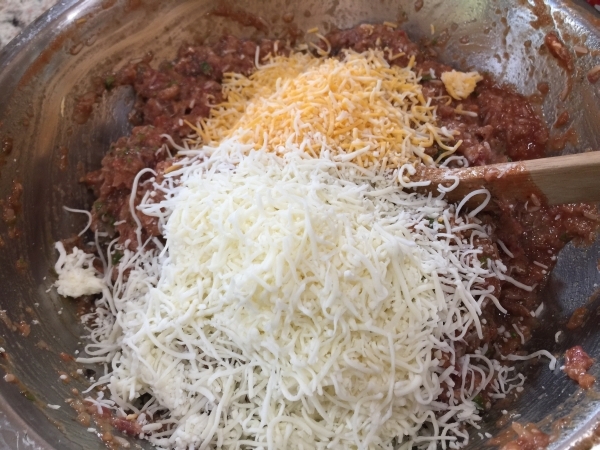 Chop the peppers and combine with the ground meets, half of the tomato soup, the onion, rice, eggs, garlic, and shredded cheese. 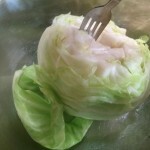 Place about 1/2 cup of this mixture into each cabbage leaf and fold in the sides. 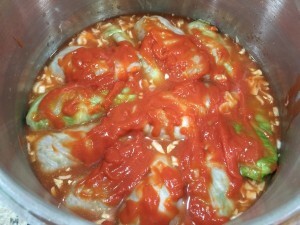 Roll them and arrange them inside the cooker on the liquid, seam side down. 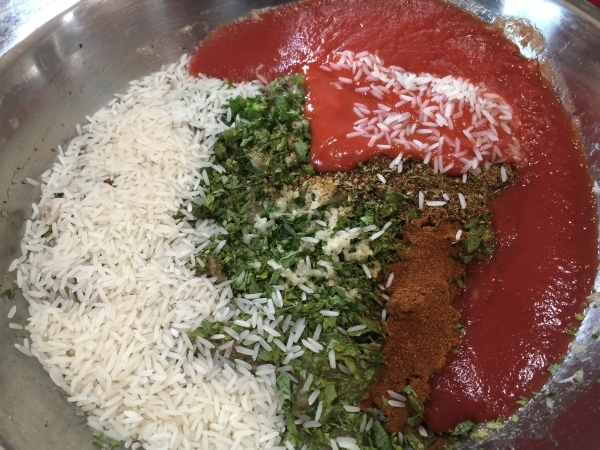 Top each roll with the remaining tomato soup. 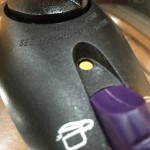 Close the lid, lock it and bring the pressure up. 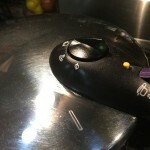 Reduce heat to medium and cook for 30 minutes on high, or 65 minutes on low. 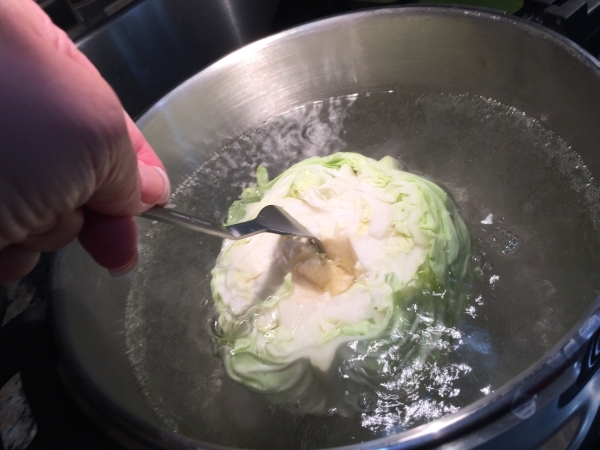 Release the pressure and wait for the safety gauge to drop before opening. 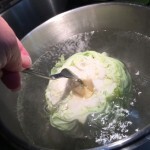 Remove the rolls along with some of the liquid and serve. 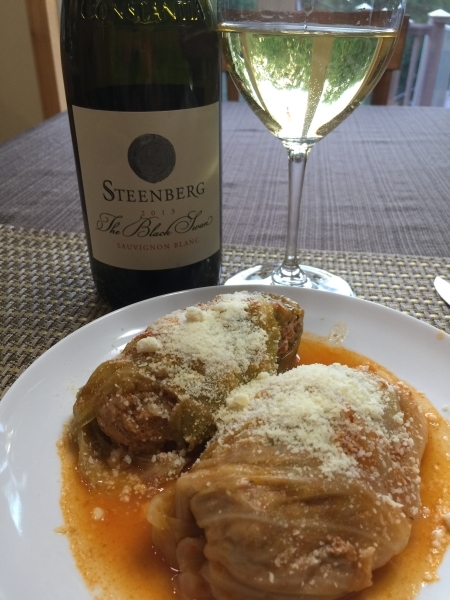 We topped the cabbage rolls with some additional grated Parmesan and paired them with a delicious 2013 STEENBERG Sauvignon Blanc.